Today The Telegraph has a great interview with Richard Burridge concerning Monty Python's Life of Brian. I love this movie, and any serious student of Jesus should as well. Even better, any serious student of ancient Greek or Latin should love the scene where the centurion corrects Brian's command for the Romans to go home. It's comedic gold for those of us who are nerdy enough to get it. 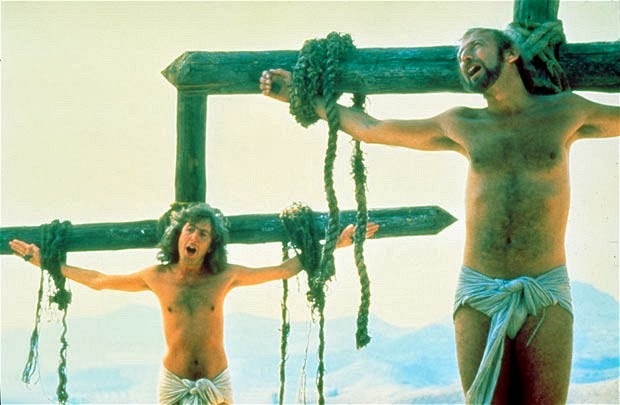 The movie was initially castigated by those in positions of religious authority in the UK for making a mockery of Jesus' life. That discussion also, in my opinion, demonstrates just how bright and thoughtful the Pythons are, particularly on some of these issues. (We should also draw attention to the hilarious spoof of this interview by Not the Nine O'Clock News concerning Python worshippers.) I'm very grateful to read Burridge's interview. I think that Burridge is correct that those original castigations failed not only to seize on an opportunity to discuss Jesus in public discourse but also failed to note that the film didn't actually make light of Jesus himself. I recommend reading the interview. Also, as a bit of a side note, I increasingly think it's weird that in the part of the world where I'm from, Monty Python and the Holy Grail was the more famous of their movies. It's funny, but I don't think it can hold a candle to Life of Brian. I'm also going to take this opportunity to plug the forthcoming public talk on Life of Brian at King's College, London, which will feature an absolute all-star cast of Jesus scholars, including Burridge, Ehrman, Bond, Crossley, Fredriksen, Levine et al. : "Jesus and Brian--Or, What Have the Pythons Done For Us?" I'm looking forward to that conference, but until then: ROMANES EUNT DOMUS. I'm very sorry to hear of the passing of Birger Gerhardsson. I never met Gerhardsson personally but have only continued to appreciate all the more his work on the transmission of the Gospel tradition. He was a contemporary of the form critics and probably their biggest opponent. His Memory and Manuscript and Tradition and Transmission in Early Christianity, now conveniently available in a combined edition from Eerdmans, was pathbreaking and showed how much of the form-critical paradigm simply was not at home in a Jewish environment. Unfortunately, his early work was harshly and unfairly characterized as a retrojection of rabbinic materials onto the first century. In reality, and as is obvious to anyone who reads the book, he was much, much more careful than those early reviews indicated, which resulted in a delay of New Testament scholarship's recognition of just how innovative this Scandinavian scholar was. (Fortunately, the more recent Kelber/Byrskog edited volume, Jesus in Memory, has clarified all the more his contributions.) One author of such a review, Jacob Neusner, wrote a mea culpa preface to the Eerdmans combined edition of Gerhardsson's two major studies, which I highly recommend reading. On this count, Gerhardsson provides an example for scholars not just in terms of his groundbreaking work but also in terms of handling unfair criticism (and, if you're lucky to be in this game for any amount of time, you will get it). May he rest in peace. Readers of the blog will be not be surprised at the announcement of the Jesus Blog's 2013 Book of the Year: Jens Schroeter's From Jesus to the New Testament (Baylor University Press). This is the Wayne Coppins English translation of Schroeter's Von Jesus zum Neuen Testament (Mohr Siebeck, 2007) So, it's not exactly new. But, in light of the general overlooking of, or ignorance of, Schroeter's work in much English-speaking historical Jesus scholarship heretofore, this English translation is important. Schroeter was anticipating many of the current developments in Jesus studies, centered primarily on postmodern historiography, already in the late 1990s. We think that this English version of his later collected essays could serve as an important starting point for further discussion along these lines. If you didn't happen to attend the so-called Blowup in Baltimore, I think I could agree with others in saying that Jens's comments from the audience marked him as the person in the room from whom we all wanted to hear more. This book is your chance to do just that. Congratulations to Prof. Dr. Schroeter! The good folks at Baker Academic alerted me to a review of my and Larry Hurtado's co-edited textbook Jesus among Friends and Enemies in the Southwestern Journal of Theology 56.1 (2013): 95-97 by James Wicker. Wicker seems to like the book in general. The only online link that I can find is here but it doesn't look like you can get to the review there. Larry and I have been very happy with the reception of this book and I am particularly pleased when I hear (as I just did from Trevor Thompson!) that colleagues are finding it useful in their classes. Got those post-Christmas blues? Turn that frown upside-down! Why not celebrate the birth of Jesus on the date(s) that the early Christians did? Get a head start on your greed and gluttony and start planning for mid-April! 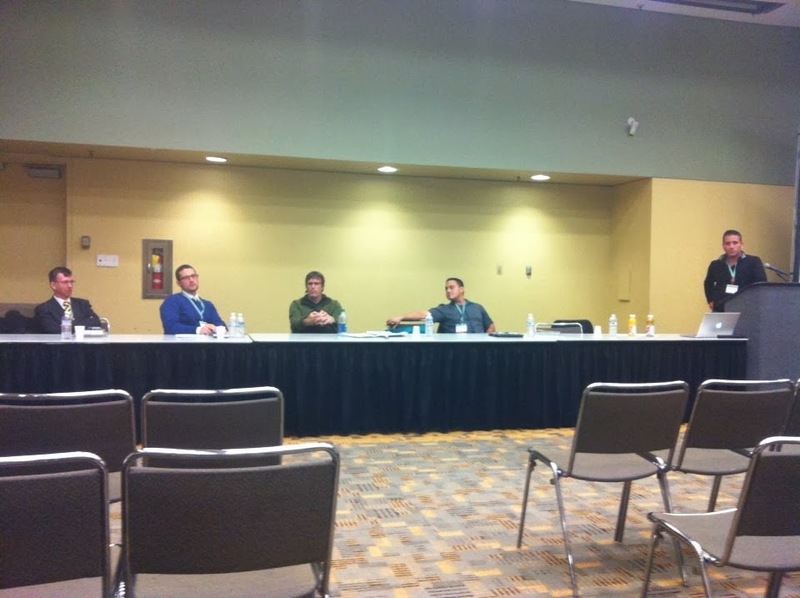 Judy Redman wasn't able to make it to annual SBL this year, but has been blogging her way through the audio that's now available here. Her two blog post thus far are worth the read as another perspective on the conversation that unfolded. political agenda and the telos of his career. Today he concludes by reviewing how the Criterion of Crucifiability has been applied (with varying degrees of success) among scholars established within the field of Jesus research. Yesterday, I discussed the misuse of crucifixion as a criterion in the so-called Zealot theory. Aside from the insurrectionist theory, three other dominant theses have been used to explain Jesus' execution. Some scholars (hearkening back to the 'New Quest') have proposed that Jesus' execution validates the thesis that he was perceived as a violator of Torah (e.g. Edward Schillebeeckx, Jesus, 97; cf. J. P. Meier, A Marginal Jew, 2:627). However, Jesus' death on a Roman cross – rather than by stoning, a punishment with which Jesus was possibly threatened and by which Stephen and James were put to death as law-breakers (John 10:31-33; 11:8; Acts 6:12-14; 7:58-59; Ant. 20.200)– directs us away from understanding this as a central issue that led to his execution. Another line of argument is that Jesus' manner of death validates the thesis that he was a non-violent anti-imperialist (e.g. Richard Horsley, Jesus and Empire, 7, 132). This is a more plausible thesis than the violent insurrectionist theory. A convincing emphasis of this type of thesis is its incorporation of the recurrently attested theme of Jesus' economic critique of elites (e.g. Mark 10:21-25, 31; 12:1-12, 40; Matthew 11:7-10=Luke 7:24-27; Luke 6:24-26). In my judgment, this is an important set of conflicts most often left out of 'apocalyptic' Jesus portraits but with explanatory value for understanding one of the causes for Jesus' crucifixion. It fits especially well with Jesus' climactic Temple Action (which itself carries a dimension of economic critique within the gospels–Mark 11:15-17; John 2:15-16). Yet, many of those who advocate the updated anti-imperial thesis fail to connect Jesus' crucifixion with the probable charge on which he was executed (see below). Finally, the cross is sometimes used to validate messianic (re)constructions of Jesus. According to this avenue of explanation, Jesus was crucified for styling himself as a royal Messiah (cf. N. T. Wright, Jesus and the Victory of God, 86, 106-08). One of the primary supports for this view is found in the gospel narrations of a titulus on the cross including the inscription “King of the Jews” (Mark 15:26; John 19:19). Its lack of use as a christological title elsewhere and its inconvenient seditious connotations tell in favor of its historical origin in the life of Jesus. Moreover, analogies exist for the advertisement of offense accompanying the executed (e.g. Suetonius, Caligula 32.2; Cassius Dio, Roman History 54.3.7). The greatest evidence against the straightforward view that Jesus was crucified for putting himself forward as Messiah is his lack of use of the title in self-reference and his general reticence for unequivocally accepting either the title Messiah or king within the Gospels (Mark 8:30-33; 15:2; Matt 26:64). Nevertheless, in my judgment and in the judgment of many scholars with diverse presuppositional backgrounds (e.g. Paula Fredriksen, Gerd Theissen, James Dunn) a royal messianic acclamation of Jesus by others, best explains how he came to be crucified specifically as “King of the Jews”. How one goes about explaining why some of Jesus' contemporaries saw him in this light and the degree to which he inspired, accepted, or modified the acclamation is open here to further debate and discussion. Piggybacking off of Anthony's recent post concerning his lively discussion with Reza Aslan, it is noteworthy that Aslan attempts to validate his thesis of Jesus the ‘zealot’ (an anachronistic label for a rebel in Jesus' historical context, as Aslan acknowledges – begging the question of the book’s title) with the 'fact' of Jesus' crucifixion. Jesus' life is made to fit his end. He was executed in the manner reserved for violent insurrectionists; therefore, he was a violent insurrectionist. This is a basic shared line of argument for theses similar to Aslan's reaching all the way back to H. S. Reimarus. Consequently, Jesus' crucifixion is used as a criterion for eliminating 'inauthentic' gospel material that portrays Jesus as fundamentally nonviolent (e.g. Mark 14:48; Matt 5:9, 26:52; Matt 5:39-44= Luke 6:29-6:35). This move ignores the breadth of offenses for which individuals were crucified. Not only was crucifixion carried out as a form of punishment and deterrence for violent offenses such as insurrection, banditry, and murder but also for nonviolent forms of sedition such as defamation of the emperor (e.g. Suetonius, Domitian 10.1; Quintillian, Institutio Oratoria 9.2.65), “stirring up the people” (e.g. Paulus, Sententiae 5.22.1), and military desertion (e.g. Livy, Ab urbe condita 30.43.13). Moreover, some victims were crucified for simply being in the wrong place at the wrong time as was the case with those captured while foraging for food during Titus' siege of Jerusalem (J.W. 5.447-49). One can thus imagine a number of ways that an individual may have met his or her end on a Roman cross, and there is simply too much counter-evidence and too little positive evidence to consider that participation in violent insurrection was a probable reason why Jesus was put to death. My thanks to Brian for his time and expertise. Tune in tomorrow for more. Disclaimers: (1) I do not watch reality television. (2) I tend to like "both/and" solutions, so I am biased toward this sort of peace-making centrism. (3) I don't think that all readers of this blog should shun reality television or take centrist positions concerning civil rights issues. 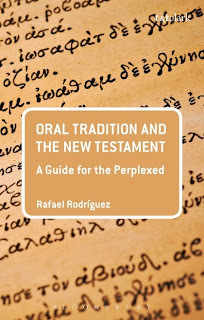 I recently received a copy of Rafael Rodriguez's new book, Oral Tradition and the New Testament (T&T Clark, 2014). I had the honor to read this work in pre-publication form and now want to underscore what a great study it is. 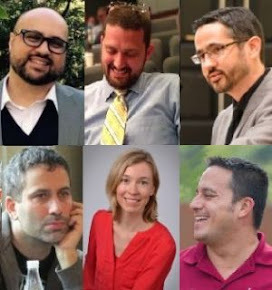 Rodriguez represents a fresh voice in orality studies because he makes the important shift away from trying to identify traces of orality in written texts and toward understanding the roles of texts within cultural environments characterized by majority illiteracy. In other words, in rightly asserting that early Christianity was an "oral" culture, he does not make the subsequent and erroneous claim that it was, in some way, anti-textual, which has been a shortcoming of some (but not all) previous research in orality. 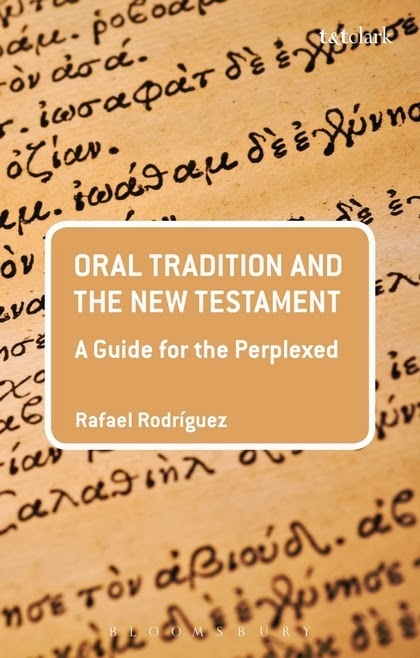 In successive chapters, he describes the what, who, how, and why of oral tradition and New Testament studies. He discusses all the important topics and names, and even provides examples of how the understanding of orality that he forwards impacts exegesis. It's a quick read and I recommend it highly. Although things are far from certain right now, it looks like Rafael and this book will be featured in a special panel discussion at the 2014 British New Testament Conference in the Jesus and Gospels seminar, which will also feature Eric Eve and Larry Hurtado. For Christians who attend large churches, Christmas plays and live nativities are an amalgam of angels, stars, kings, shepherds, farm animals... even more farm animals. And depending on how many actors need parts, still more farm animals! No joke: I was at a Living Nativity two years ago that included live pigs. Yeah. Any student of the New Testament will know that this "traditional" scene is a modern harmonization of multiple narratives, misreadings of these narratives, and modern inventions. I will not detail the many, many bizarre additions to the biblical infancy narratives here, but consider this: the famous "magi" from the East are not in the same story as shepherds, are not kings, and are not three in number. Modern plays and nativities have distorted the magi (=astrologers?) 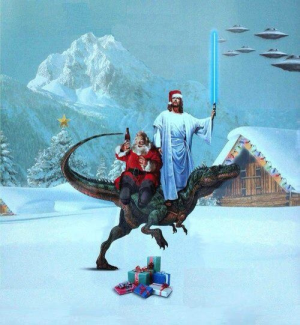 about as much as the Christian West has distorted Santa Claus. We might as well depict them smoking rubber cigars. Last weekend Premier Radio in the UK aired a lively discussion between me and Reza Aslan (author of Zealot). If you've read the book and listened to the podcast, you'll notice that Dr. Aslan's thesis seems to be improving post-publication. My friend, the brilliant Ryan Hemmer, summed it up well with this comment, "It was pretty frustrating to listen to. His thesis is whatever it needs to be to deflect criticism." At this point I'm less concerned with the thesis that Jesus was a zealot. What is troubling here is the assumption that Rome was generally right about who was an enemy of the state. What is even more troubling is the assumption that the Roman practice of crucifixion (cruel and torturous by any standard) was justified at all! Can this be said with integrity about any regime? I need to correct an error I made when discussing the concept of "zeal" with Reza Aslan. In this exchange I claim that there is no example of Jewish zeal directed outward and against a foreigner. I would like to apologize to Dr. Aslan and the listeners of Premier Christian Radio. This is obviously incorrect. Indeed, the example that I give (a story that I tell in the podcast) of Josephus' "zealous" Jews who stage a nonviolent demonstration against Pilate's adornment of Jerusalem (J.W., book 2.169-174) would be an obvious counter example. I misspoke. What I meant to say was that zealous acts as manifested violently are indicative of internal Jewish conflict about devotion to God and against idolatry. Indeed, my comments do not make sense without this important qualification. My thanks to James McGrath for this image. Megyn Kelly of FOXNews created a bit of buzz last week when she told the kids of America that Santa is white. There are things that I will get pugilistic about and Santa’s race is… okay… I almost dozed off there. Kelly then referred to Jesus’ whiteness. Two quick points about this one. (1) “White” is a modern category. Like most racial labels, this is a post-Enlightenment development. So it’s anachronistic (that’s a real word, Mr. O'Reilly) to call Jesus white. (2) As I discuss in this essay, Jesus did indeed become an Aryan in many post-Enlightenment imaginations. In fact, folks like Ernst Renan expended a great deal of effort trying to prove that Jesus was Aryan. Renan's work was picked up by several theologians with National Socialist tendencies. This was about the same time that Jews were labeled non-Aryan. For a network that is preoccupied with drawing comparisons between the Nazis and contemporary politics, one would expect a bit more knowledge about Nazi ideology. One would be disappointed. Taylor Swift - she's the bomb! John, if you could write me at chris.keith@smuc.ac.uk, I'll arrange for you to receive your free copy of Alan Segal's classic Two Powers in Heaven. As I had mentioned in an earlier post, I spent most the day last Friday in the beautiful chapel of King's College, London sitting next to Chris Tilling and my PhD student, David Smith, for a special day honoring the work of Rev. 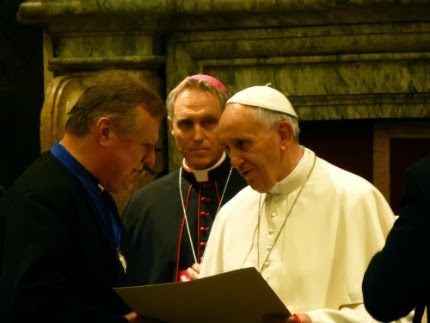 Prof. Richard Burridge upon his winning of the Ratzinger Prize from the Vatican. Burridge is the first non-Catholic to win the prize, so it was quite the accomplishment. 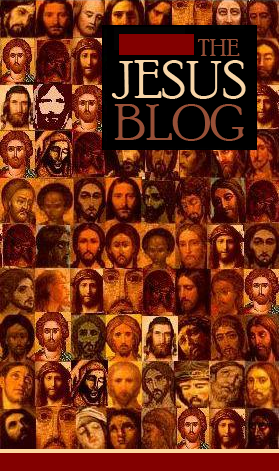 We at the Jesus Blog tip our caps to Rev. Prof. Burridge. The day broke into four basic sections. 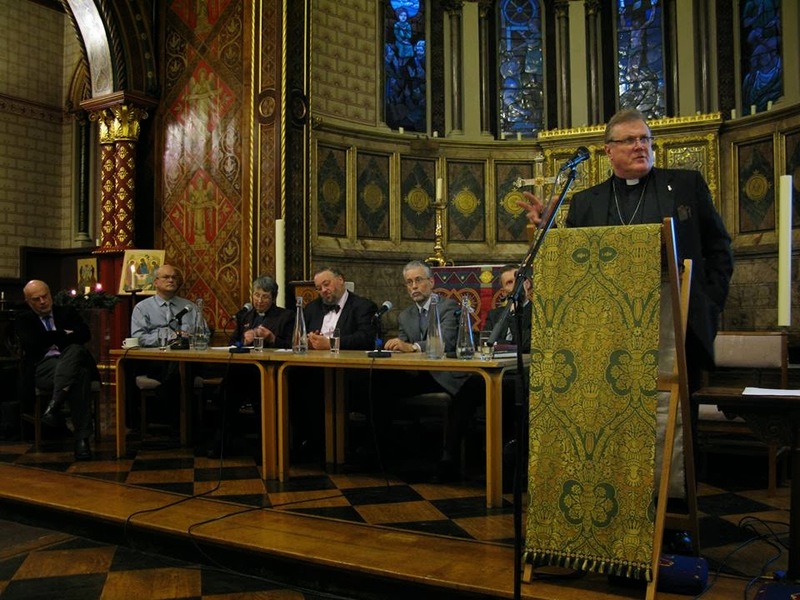 First, Steve Walton and Andrew Lincoln discussed Burridge's seminal What are the Gospels? (Eerdmans new rev. ed., 2004). Second, Francis Watson and Loveday Alexander discussed Burridge's popular-level textbook Four Gospels, One Jesus? (SPCK Classic ed., 2013), though Alexander also addressed at length his popular-level commentary John (Bible Reading Fellowship, 1998). Third, David Horrell and Jan van der Watt discussed Burridge's Imitating Jesus (Eerdmans, 2007), which was shortlisted for the Ramsey Prize in 2009. Fourth, Rev. Prof. Burridge was finally allowed to respond to the discussion of his work after being silent almost all day! There were several themes that kept coming up throughout the day. One was Burridge's commitment to making scholarship accessible to the average reader, particularly the average Christian reader. This included both his publications and his work as a clergyman. The second big theme was the impact of Burridge's What are the Gospels?, which was originally his PhD thesis at Nottingham. The discussion surrounding this work was one of the three highlights of the day for me. Steve Walton (now my colleague at St Mary's University College!!) did a great job of setting the background for Burridge's contribution in the first paper of the day. Some readers of the blog might not be aware of this background, so it would be useful to offer some brief comments. In short, if you've ever read an introduction to the Gospels or an introduction to the NT or a commentary on one of the Gospels in the past twenty or so years that said something like, "Scholars now think that the Gospels are a form of ancient biography," you are reading the direct impact of this book. Prior to Burridge, scholars still tended to see the Gospels as a sui generis, and a not-too-high-cultured one at that. This assessment was a result of form criticism, which identified the Gospels as Kleinliteratur instead of Hochliteratur, and also identified them as primarily reflections of the communities in which they circulated, not Jesus himself. This opinion was as "consensus" as anything could have been at the time, and Burridge effectively demolished it and persuasively made the case that the Gospels may be innovative in many respects, but they are a form of ancient bioi ("lives"; i.e., biography) and thus--lo and behold--primarily about Jesus. It's the type of contribution that every PhD student thinks he or she will make upon admission and only about 1% ever do make. This isn't to say that everyone agrees with Burridge, but his is the prevailing opinion now; no doubt about that. As a side note, if you're wondering, "You mean to tell me that NT scholarship is so messed up that it took a groundbreaking, painstakingly-detailed PhD thesis in order to convince scholars that the Gospels are about Jesus?" the answer is, "Well, yes, except that some still aren't convinced." The second highlight of the day for me was Francis Watson's presentation on Burridge's Four Gospels, One Jesus? He compared Burridge's book to Wright's Simply Jesus and seemed to favor the former. Watson highlights that, for Burridge, if readers want to understand "Jesus," they must access the one Jesus through the pluriformity of the fourfold canon; i.e., "Jesus" is found in those four portraits of Matthew, Mark, Luke, and John. 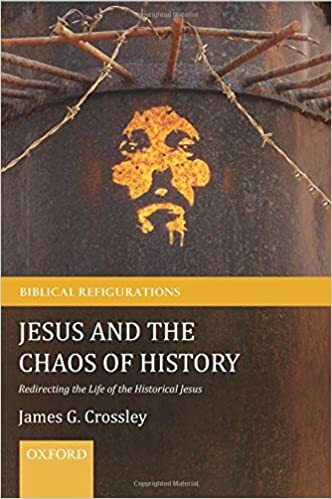 In contrast, for Wright, if readers want to understand "Jesus," they must access the historical Jesus in his sociohistorical context; i.e., "Jesus" is the historical Jesus behind the Gospels. Anyone who has read Watson's recent tome Gospel Writing will not be surprised by this argument, though it would be interesting to hear Wright's response. Watson clarified that he is indeed interested in the historical Jesus and finds that scholarship significant, but that for NT and early Christian Christology, we must start with the pluriform image of Jesus in the four Gospels, not the historical Jesus. In this context, he mentioned that Burridge started Imitating Jesus with the historical Jesus. He said no more, but in the questions, Andrew Lincoln pushed him and asked him whether he considered Burridge's appeal to the historical Jesus in the later text to be a step backward from his approach in Four Gospels, One Jesus? Watson acknowledged that he did. Of course, this discussion was interesting to me because it concerned the role of the historical Jesus in Christological and theological discussion. I was very disappointed to miss the final session when Burridge responded. Perhaps we can talk him into a comment here on this post! In light of "memory" being such a hot topic on this blog of late, I should probably add that I think that many of Burridge's original arguments against the form critics prefigured some of the arguments that other scholars eventually made on the basis of media and memory studies. What Burridge primarily argued against was this idea that Gospels being influenced by their local contexts (which he never denies and, in fact, assumes) meant that they were simply mirrors of those contexts with no concern for the past of Jesus. I think he's right about this and later research has buttressed his original work on the genre of the Gospels. The third highlight of the day for me was hearing Jan van der Watt, a well-known South African Johannine scholar who now works in the Netherlands, speak about Burridge's role in the fight against apartheid in South Africa. I had no idea that Burridge played such an important role in moderating and contributing to those discussions. These filtered into his final chapter in Imitating Jesus, which deals specifically with apartheid. Clearly, Burridge is not someone who could be accused of never leaving the ivory tower. As you can tell, there was much to consider in the day, and there were many excellent NT scholars there to partake in the festivities. In light of the influence of What are the Gospels? I thought it might be interesting to hear from some of the readers of the blog about when they first encountered the book. I'm pretty sure I first read it during MA/MDiv coursework. UPDATE (Dec. 17): Chris Tilling gives his summary and some further thoughts at Chrisendom. Over at Jewish-Christian Intersections, Larry Behrendt suggests that remembering the Holocaust ought not be a casual endeavor, but an act of commemoration that sets us in a principled stance against all forms of genocide. I hope that I've summarized him aptly (even if I've played the reductionist) because this post is part of an ongoing conversation between us about sacred identity and memory. I am convinced that memory shapes identity. No controversy there, I would guess. Of course, some might state this more boldly (e.g. memory is identity!). I am also convinced that the ways that we remember are just as identity-forming (and informed by identity) as the content of our memories. I think that the ways that Christians and Jews remember the Holocaust is a great example. Shoah :The Hebrew word meaning "catastrophe," denoting the catastrophic destruction of European Jewry during World War II. The term is used in Israel, and the Knesset (the Israeli Parliament) has designated an official day, called Yom ha-Shoah, as a day of commemorating the Shoah or Holocaust. As used when it is capitalized, "the Holocaust" occupies a different place and function in non-Jewish memory. Here "Holocaust" evokes a primarily Jewish catastrophe but also includes non-Jewish victims as well. The phrase "Jews and other people" is significant. Using this definition, we are reminded that eleven-million civilians were murdered, including Jews, communists, gays, Jehovah's Witnesses, and other people deemed ideologically dangerous to the "common good". So if you simply want a numerical difference, it could be counted in the millions. But there is a more important difference to be drawn here. Christian memory (a subset of non-Jewish memory, in this case) tends not to think of the final solution in terms of "philosophers, theologians, scientists, architects, politicians, and soldiery". Your average Christian tends to think of the Holocaust as a politically motivated war crime. In fact, it was not committed by Christians at all, but by an archetypal enemy: the Nazis. Indeed - still speaking as my hypothetically "average Christian" here - the "true Christians" were heroic during this period! We remember Bishop von Galen, Dietrich Bonhoeffer, Willhelm Rott, and the many sisters who aided Irena Sendler. No doubt there were many. But Katharina von Kellenbach reminds us that these "were a very small minority! These activists, as well as individual Roman Catholic priests and religious monks and sisters, risked their lives in the battle against Nazism. .... Their heroic resistance should not be forgotten or diminished. But it was only part of the story. On the whole, the churches colluded and compromised, and they failed to defend the victims of dehumanizing policies and extermination" (42-43). We Christians tend to use the Holocaust to celebrate our collective heroism. Nobody - nobody - who uses the word "Shoah" thinks of the Holocaust as a backdrop to celebrate Christian courage. The Shoah was not a stage - it was genocide. This is not to mis-remember those who were courageous, but the memories of the "Shoah" and "Holocaust" tend to function differently depending on who is doing the commemorating. Let's put it this way: there were more Christians who died in the Holocaust than there were operating the various resistance movements. Still more Christians were vocally anti-Jewish. Still more Christians looked the other way. Yet we Christians choose to remember and celebrate Dietrich Bonhoeffer. We have chosen a heroic self-identity because of our memories and we have chosen our memories because of our heroic self-identity. But, and this point cannot be overstated, it is likely that your average Christian has no significant relationship to the memory of the Holocaust. It simply functions for Christians as an unfortunate historical fact of war. In others words, it is possible (indeed likely) to be an adult, educated Christian and never commemorate the Holocaust. We have a better chance of being shaped by the words of Rich Mullins than Dietrich Bonhoeffer. For many (most?) Jews, the Shoah is a culmination of centuries of victimization and dehumanization. So much so that I have been in several conversations wherein thoughtful Jewish educators have wondered aloud whether the "Shoah" should even be taught anymore. After all, "what more is there to say?" And "don't we want our children to have a positive identity, rather than a victimized identity?" As a Christian, I am baffled by such questions. But the Holocaust / Shoah dichotomy is just one example of Christians and Jews remembering differently. Indeed, our methods of remembrance have set us on different courses and have too often alienated us from the other. Today Pope Francis I won Time's Person of the Year. Now, the cynic in me wonders who we might see if the cameras were turned off. But I can't help but hope that the rumors are true. Truth be told, I care very little about who wins "Person of the Year". But I do care that people with power use it to serve the powerless. At the risk of evoking "Jesus" during the most Jesusy time of the year on the most Jesusy blog that I know of, I care that the Pope is attentive to the longstanding portrait of a humbled and humbling Jesus. I am not the sort of fellow who forgets easily. A couple years of good PR and happy distraction cannot cover centuries of shame. But in the face of systemic evil, a simple act of courage can do wonders. 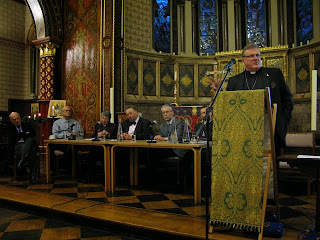 On Friday I will be heading over to King's College, London for a special day conference on the work of Rev. Prof. Richard Burridge upon his winning of the Ratzinger Prize for Theology. Congratulations are in order, as Burridge is the first non-Catholic to receive the prestigious award. I've pulled the information from KCL's website here. Check out this incredible lineup and the audio of Burridge. Anyone else going to be there? This day conference will consider the work of Richard Burridge, especially how his biographical genre approach helps us establish “the Gospels’ inseparable connection to Jesus of Nazareth”. Professor Andrew Lincoln (Portland Professor of New Testament Studies, University of Gloucestershire) & Professor Steve Walton (St Mary's University College, Twickenham). This session will consider the impact of Burridge’s doctoral research on Gospel genre within Gospels scholarship, and its implications for Jesus-centred readings of the Gospels. This session will look at Four Gospels, One Jesus? and other more popular and church-related applications of Burridge’s Gospels research, such as his work for the Millennium Dome, the National Gallery, the Lambeth Conference Bible Studies (based on his John commentary, originally published by BRF in 1998 and reissued in a Lambeth Conference edition in 2008), theBible in the Life of the Church project for the Anglican Communion, events related to the 400th anniversary of the King James Version of the Bible in 2011, and numerous Diocesan study days and conferences. This session will discuss Burridge’s work on the implications of the narrative biographical reading of the Gospels for New Testament, and Christian, ethics. The session will especially focus on Imitating Jesus, including the extent to which South Africa influences and figures in reflections,but will also reference his ongoing research and writing in this area. Panel and round-up with all the participants (and Emeritus Professor Loveday Alexander, University of Sheffield), looking at coherence and impact, and considering what unites everything (essentially the concern for genre and for Biblical interpretation). Prof Burridge will offer a final response to the day. Tickets for the event are priced £7.50, with a limited amount that include a buffet lunch priced at £15.00. I was just alerted to this wonderful song today by my friend Drew. Thank you, sir. I’ve finally gotten around to reading Craig Evans’s Jesus and His World: The Archaeological Evidence, published here in the UK by SPCK and in the USA by WJK. If you’re looking for a supplementary textbook for a Jesus course next Spring, this has got to be a contender. I’m not aware of a textbook exactly like it and highly recommend it. Evans covers the archaeological evidence from first-century Palestine as it relates to the Gospels and so this is not an introduction to Jesus per se or even the Gospels (though there’s plenty of both) but an introduction to the socio-historical context as revealed by the realia of that time period . . . with pictures in tow! For example, one chapter covers the archaeological evidence for synagogues and synagogue practices and another covers reading, writing, and literacy. A final chapter covers Jewish burial traditions. As far as I can tell, the book is aimed at students, but I found myself really enjoying the read. The chapter on the synagogue, with all its pictures (especially of the Capernaum synagogue), was the best in my opinion. The chapter I found least helpful was the one on literacy, etc., where Evans agrees with literacy estimates of 5 to 10 percent for Jesus’ world, but then goes on to argue that Jesus most likely could have read. He cites considerable evidence of literate activity, and this alone is worth reading and interesting, but he ultimately mixes textuality (knowledge and appreciation of texts) and literacy (ability to access texts for oneself) in an unhelpful manner given the complexity of the issues, in my opinion. But this is a minor quibble with an otherwise really great book. I’m not teaching a course on Jesus or the Gospels this coming semester, but if I was, I wouldn’t hesitate to put this resource into my students’ hands. Over at Freedom in Orthodoxy, Johnny interviews our very own Chris Keith. Need a Gift Idea for that NT Scholar in Your Life? Apocalyptic Prophet Tea Sets. 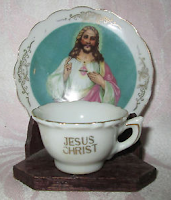 Nothing says “the end of the world is upon you” like a nice cuppa served in this porcelain cup and saucer set. Perfect for any occasion, but especially appropriate for bunker parties! Chris Keith’s Goatee. Need a unique gift for that special someone? Rekindle the flame with an authentic, game-used goatee from Chris Keith Inc. Supply limited. St. Francis of Assisi Money Clip. You will always have the poor among you, but few people have this platinum-plated, sterling silver money clip with an engraving of the prayer of St. Francis. Be the first person in your pew to flash this beauty when the offering plate is passed! Any other ideas that we should consider for production? I did not know Alan Segal well. We were collaborating with him on this project when I learned of the illness that eventually took his life. I can say that he was kind, generous, and helped me navigate a few awkward "professional" moments. Moreover, he had very little to gain by being kind to me. He didn't know me from Adam when we began our project. Understandably, he graciously withdrew his name from our roster, but remained open to emails and continued to offer guidance when I asked. It was only a few months after my last correspondence with Alan when I read the news of his passing. My reflections of Alan Segal as his final Ph.D. student. Alan was a brilliant man. He was the stereotypical absent-minded professor with his head in the clouds. Often I would walk into his office to discuss my research projects with him, and he seemed to be in another world. Nonetheless, months later he could quote what I said to him back to me verbatim. Who knows how many languages he knew!? He could recite poetry and/or order a meal in most of them. As an advisor, he let his students develop their own ideas and follow them wherever they led. That is, one thing I really appreciated was that he was not trying to create carbon copies of himself or make us elaborate his ideas, but was their to guide our very different projects to develop as independent scholars. Perhaps the greatest quality he inculcated in each of us is to develop an insatiable curiosity and if that meant that for our research we had to transverse usually disparate fields of Dead Sea Scrolls, New Testament, Rabbinics, Early Christianity, etc., so be it. That is, in my opinion, one of the greatest legacies of his own research. From Two Powers to Rebecca's Children to Paul the Convert, he pursued his research with little regard to traditional scholarly boundaries. For him, to focus exclusively on Christianity or Judaism in antiquity was at best a simple anachronism; at worst, bad history. In an era of scholarship in which are projects are increasingly smaller, focusing on our little boxes (NT, DSS, etc. ), he taught us to think big. I only hope I can carry on that legacy as best I can. 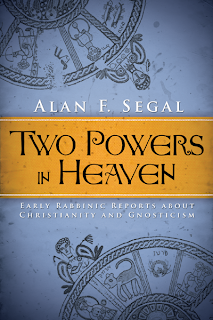 "In his now classic Two Powers in Heaven, Alan Segal examines rabbinic evidence about early manifestations of the "two powers" heresy within Judaism. Segal sheds light upon the development of and relationships among early Christianity, Gnosticism, and Merkabah mysticism and demonstrates that belief in the "two powers in heaven" was widespread by the first century, and may have been a catalyst for the Jewish rejection of early Christianity. 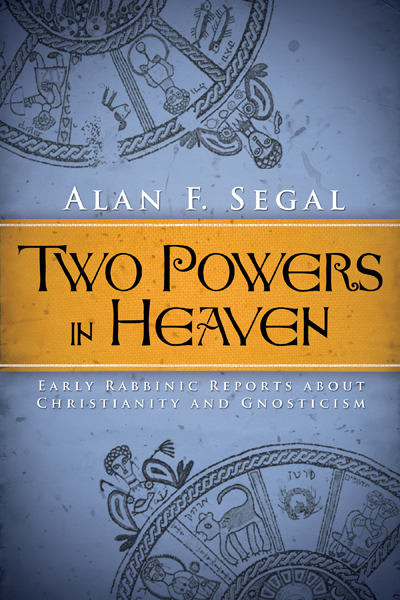 An important addition to New Testament and Gnostic scholarship by this much revered scholar, Segal's Two Powers in Heaven is made available once again for a new generation." Perhaps we could get Jared Calaway, Segal's final PhD student at Columbia, to share a few words in the comments on the significance of Segal and what it was like being his student. To enter to win the book, you can (1) leave a comment, (2) share this on Facebook and leave a comment saying you did, (3) share this on Twitter and leave a comment saying you did, and (4) sign up to follow the blog and leave a comment saying you did. For the wildcard entry, you can (5) name the most underrated country music singer living or dead. In my opinion, it's not even close. Dwight Yoakam is by far the most underrated country music singer. I must confess that I was quite disappointed with the session on Monday. From my view, the specific contribution of memory (“Erinnerung”), at least as I would define it, to historical criticism was not made clear. For me, the criticism that memory theory is not historical-critical research was useless because I have never and would never defend a view that claims they are the same. In my perspective, the category “Erinnerung” was never meant to replace or to question the meaning of historical criticism. I would also never argue that every kind of “memory” (i.e. every story about Jesus in the Gospels or other early Christian literature) is of the same value because it is some sort of “Jesus memory.” Also not clear in the discussion is how one has to distinguish between different stories about Jesus in early Christianity. Of course, individual and also collective memory can be distorted, but this is another usage of the category. For me the decisive point is that “Erinnerung” is a hermeneutical paradigm that makes us aware that every image of the past is in need of interpretation and historical imagination. That is true for ancient as well as for modern historical-critical Jesus accounts. As Koselleck puts it: “The sources hinder us to make certain claims about the past, but they do not tell us what we have to say.” This is what he calls the “power of veto” of the sources. In interpreting the sources, creating images of figures and composing narratives of the past we need imagination (“Einbildungskraft”) as Collingwood calls it or interpretation as Droysen puts it. Therefore, “Erinnerung” can never replace historical critical evaluation of the remains of the past. But it can make us aware that it is always our picture of the past and therefore an inextricable combination of present and past. Thereby, it is self-evident that since the rise of historical criticism we have to evaluate the sources critically. But with this undertaking we will never get behind the sources but always create our own image of the past, influenced by our own cultural values, our knowledge of the sources and our questions that we bring to the sources. What was especially disappointing for me in the session was that this hermeneutical discussion, present in English, French and German speaking research since the 19th century, did not play any role. Therefore, the importance of “memory,” understood against this background, for hermeneutical and historiographical discussions about Jesus and early Christianity today, was not made clear. Jens’s comments are important for at least two reasons. First, he is entirely right that we overlooked the significance of “memory” for what it means in our historical work today in our (i.e., my and Rafael’s) attempts to explain what it meant for the ancient authors as “historians.” To put his point in language he uses elsewhere, we are of course never getting “behind” the sources. We are rather re-presenting the sources and narrativizing what could have been. Indeed, the remains of the past only become “sources” in the process of narrativizing (see below). In other words, even after historical criticism does its work of critically examining those remains, the remains do not offer explanations of themselves automatically. The historian must weave a narrative of possible past reality that necessarily draws upon his or her own historical imagination and incorporates the remains of the past. So, Jens is right that it is not the case that all Jesus memory is of the same value, not even in those first-century texts, and I’m not aware of anyone in the younger breed of historical Jesus scholars who would say that it is. But I can see how our concentration upon the nature of the tradition itself and attempt to explicate the significance of Jens’s point about the ancient historian also working from a mix of past and present (and thus that all Jesus memory is of some historical value though not the same historical value), as well as our (ok, my) willingness to use “Jesus memory” for different types of Jesus memory, could have benefited from better clarity. For those who are interested in this discussion further, I simply cannot recommend highly enough Jens’s From Jesus to the New Testament (Baylor University Press, 2013), the English translation of his Von Jesus zum Neuen Testament (Mohr Siebeck, 2007). I am re-reading it in the wonderful English translation of Wayne Coppins and I honestly believe that Jens has here written the manifesto for a new stage of Jesus research. (Yes, I’m fully aware of the audacity of that claim. I think it’s true anyway.) He articulates in great detail what “neutestamentliche Wissenschaft beyond historicism” looks like. In particular, he gives much greater detail to his points about memory as a hermeneutical perspective on what historians do in their re-presentations of the past. I leave you with this quotation from p.12–13, which I think sums up also his complaints about the SBL session. I’ll note also that we will have a panel review of this book at the 2014 British New Testament Conference at the University of Manchester. I think it would be worth the SBL Historical Jesus group considering something of the same. Since my last post dealt with the guts of the academic discussion in the recent SBL Memory and Historical Jesus session, I thought I'd make a couple less serious observations here. The first observation is more of a question: Are historical Jesus studies interesting again? A number of people have commented that this session was their favorite one from this year, and a few have even said that it was their favorite ever. This is interesting because it was not so long ago that historical Jesus studies seemed to be on their way out (or already out). I thought this myself and even avoided the historical Jesus altogether when working on my PhD. I've had some big names in the field tell me that they were altogether convinced that historical Jesus studies was dead. It was during the writing of Jesus' Literacy: Scribal Culture and the Teacher from Galilee, however, that I first started to think some fresh discussions could occur and might be useful; that what was on the way out was business as usual but not the overall field. In the very least, the session in Baltimore had good attendance and perhaps this indicates a renewed interest. The second observation is that Zeb Crook by far wins the award for presentation. He gave a master class on how to deliver a SBL paper. It was funny, interesting, and thought provoking. Reflecting on the session, I wonder why more people don't make their presentations interesting the way Zeb did. Rafael, Paul, and I all settled for the standard read-your-paper-aloud bit and, though each of us had our moments of personality shining through, we all looked like dullards compared to Zeb.